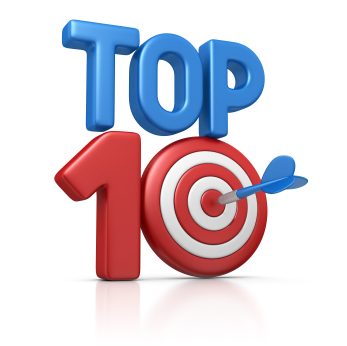 With The Neal Estate Team you are our #1 priority. We work hard to cultivate a relationship with you, to understand your needs and to give you the personal attention you deserve. With The Neal Estate Team, you benefit from our expertise, our experience and our commitment. We listen attentively to your needs, guide you to make smart decisions, and negotiate persistently on your behalf. We believe that you deserve to have a real estate team that puts your best interests first, every time. With integrity, innovation and professionalism, The Neal Estate Team delivers world class personal service. We are committed to helping you get exceptional value for their homes and real estate investments while supporting our families and our community. Our licensed, full-time assistants ensure that your concerns are taken care of and questions answered right away. You and your family receive topnotch service throughout your home sale or purchase. We sell twice as fast and for more money on average Ron Neal & The Neal Estate team's listings sell in 25 days versus 52 days for other agents, and we negotiate 1.5% closer to the listing price. Staying on top of market changes is a must. That's why you're a step ahead when working with the Neal Estate Team. We invest our time and energy into continuously upgrading our knowledge so you can stay better-informed. Ron takes courses through the University of British Columbia, goes to seminars presented by industry leaders and attends conventions to better serve your needs. His fresh approach fosters more innovation and creativity, which is used to market your home more effectively. Treating clients like royalty is nothing new to the Neal Estate Team. Real estate is about people and their needs, and if you are not satisfied, neither are we. Your concerns are heard and solutions are reached. Your satisfaction is the bottom line. 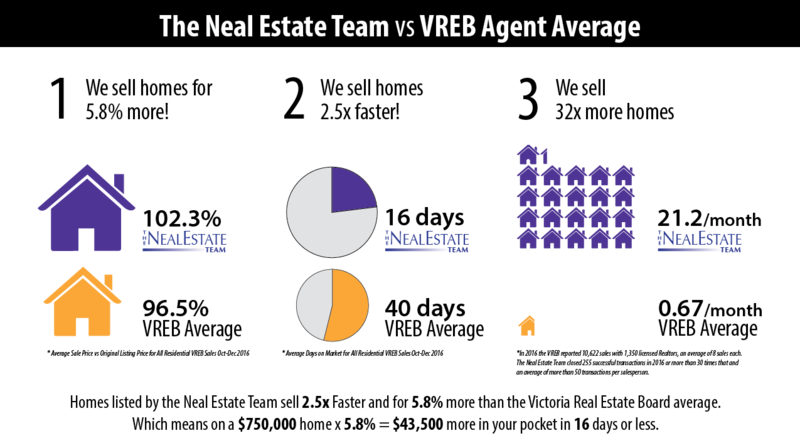 No real estate agent in Victoria sells more homes than The Neal Estate Team.